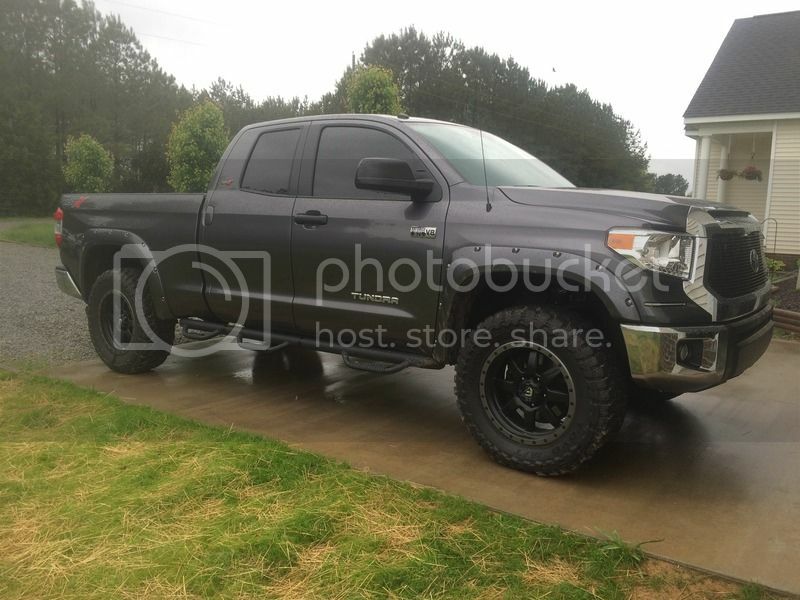 I have the same truck except in DC and am running 35x12.50's. I just did a 3" level and went with +20mm offset wheels. I did have to do the body mount mod but to drop back to 34" tires it was actually more expensive. The only issue I have is with a level kit if the front tire drops down in a deep hole the stock UCA will hit the coil spring but there are ZERO issues with normal driving and I can turn the wheel to full lock. I couldn't do a 4" lift and the truck still fit in my garage so I stuck with the 3. I think it looks great. Mine is not a 2014 (2011) but I also did the same thing as Renegade and have the 3/1 leveling kit with 35's. Had to do some modification but rides just as new. I've decided to go with the rough country 6", 18" pro comp 7031 and 35/12.5 federal couragia or nitto Terra grappler g2's. I'm having a hard time deciding on tire. The federals and the terra grapplers are a little different (If you're looking at the federal M/T). From what I can tell, the federals have a quite a bit more meat on them and are more comparable to the trail grapplers. I did have the terra grapplers on before the trail and they were nice but not as "meaty." The federals look nice and I've never looked in to those. Last edited by santi2322; 07-13-2015 at 12:57 PM. That's what I'm trying to decide if I want m/t or a/t. Those are my top choices from each category. Aren't the Federals a cheaper tire? Even though I see folks running them after the performance I am getting out of my Toyos there is no way I would use another tire ever again. Anyways if you can't make up your mind go with an in between model like the Toyo R/T's. Honestly if my truck was a daily driver it would not have M/T's. 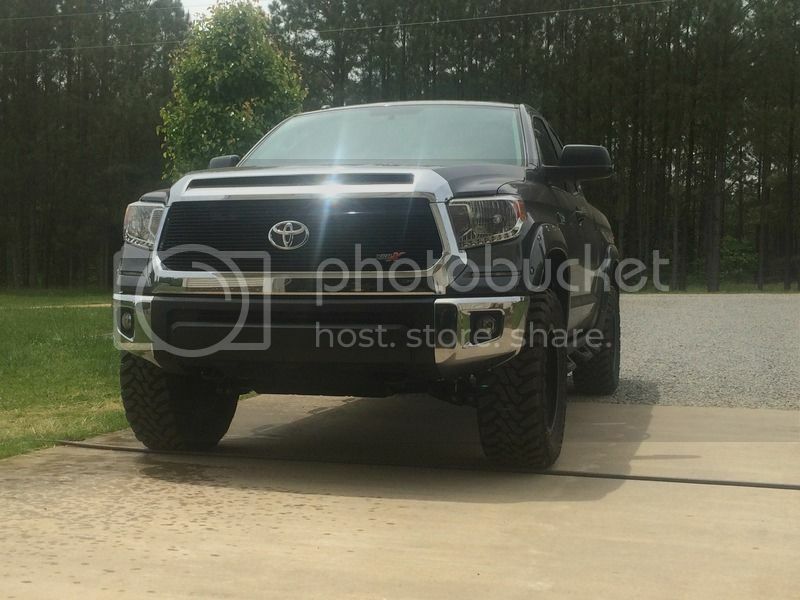 I had BFG A/T's prior to the Toyos. We sell a TON of Terra Grapplers where I'm at. They're pretty much the go-to for someone who's looking to do a little off-roading, but mostly sticks to the street. They're quiet (as long as the truck's alignment is good so they don't chop), ride is comfortable, and they're reasonably priced. I have been running my Toyo M/T's for 4k miles (and they haven't been easy miles) and they still look almost new.